For what was trumped up and hyped to be a great finale, personally I thought this one failed, and quite miserably. It was just such a long goodbye that no offense to Tennant of course because I love him as an actor forever and ever until the end of time, but with this quite overdrawn episode, I just wanted him to die and regenerate already! Blinking heck! I know I ought to be thankful to Russell T. Davies for renewing interest on Doctor Who but he really laid it on thick with this one. It was just a total mess, with way too many plotlines and like I said quite overlong. Forget about the Master and all the Timelords and Gallifrey planet taking over Earth but when the Doctor was revisiting his companions, it was a real letdown when he visited Donna (Catherine Tate), was that it? Why did they even bother? But I loved the bit when he went to the book signing and meets Joan Redfern’s (Jessica Hynes) granddaughter, and seeing Rose (Billie Piper) pre-companion days. But then when he went back to the TARDIS and said “I dont want to go” I almost lost it. Just get on with it already! Regenerate now! I have to say the four knocks coming from Wilf (magnificently and endearingly played by Bernard Cribbins), was something that I definitely didnt see coming. I also thought that although Tennant was brilliant here, Cribbins was just as excellent. Then he regenerates! I was hoping for it to be cathartic that by the time it was all happening I have already lost the energy to feel sad that my Doctor is dying. Then that was it! He has regenerated! My geekiness came out again. We’ve got a new Doctor in Matt Smith! And he is going to be great I am sure; actually, I love him already. Spring wouldnt come soon enough that’s the thing! Looking forward to an era of much better Who writing and this time with Steven Moffatt at the helm. The Doctor thousands of feet out of a spaceship, crashes through a glass roof and hits a hard surface and then gets up with no explanation? This kind of thing completely destroys the believability of the story for the viewer. Ever seen Logopolis? The Doctor regenerates and the TARDIS blows up – ever seen Time and the Rani? Gallifrey positions itself right beside Earth and both planets are hardly affected – ever seen the Tenth Planet? The Doctor absorbs masses of radiation and needs to regenerate but he pops in to see a few friends first – ever seen Planet of the Spiders? And if the time war was locked and the Time Lords can’t get out of it, how could they send a signal (or psychic messages) out of it and Dalek Caan get into it? And why would Wilf knowingly knock four times? The days of Russell T Davies ignoring the requirement to make things sensible and explicable (such as the re-appearance of Rassilon) and therefore believable, are over. Writing sci-fantasy like Doctor Who with plot dependent non-sequiturs, while selectively ignoring the need to explain anything to viewers, is simply a sign of poor writing. Let’s hope Steven Moffatt doesn’t cave in to the same low standards. Thanks for sharing the same sentiment Calum, and welcome to FeignedMischief! And even more thanks for giving me episodes to watch. 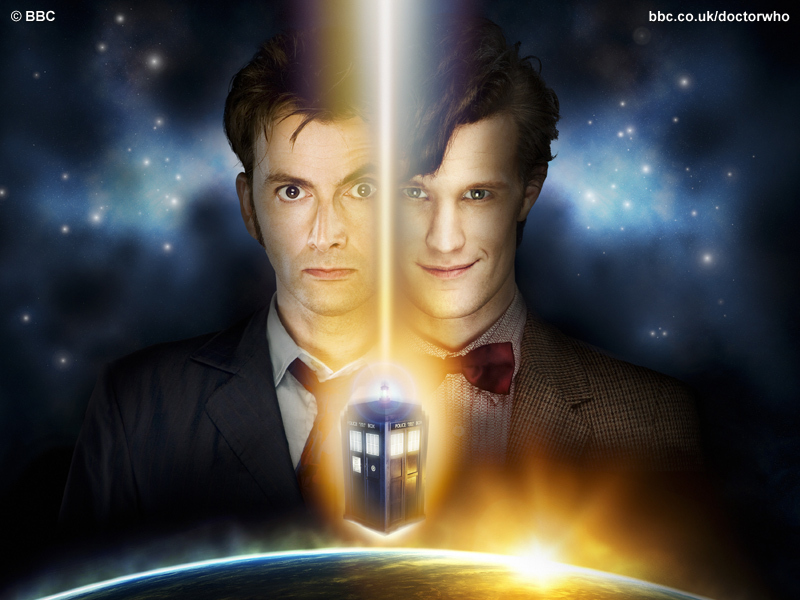 As I have only started watching Who in this revival, and have nly witnessed two regeneration, I take it that youre a lifelong fan and can recommend the best regeneration episodes?